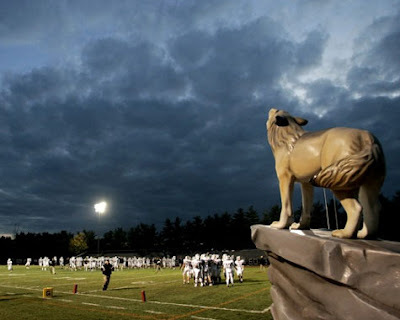 Lobo the wolf stands ready as Worthington (OH) Kilbourne and Dublin (OH) Coffman warm up before the game, Friday, Oct. 17, 2008, at Worthington Kilbourne high school. This is a great photograph. Thanks.